How cute is this! 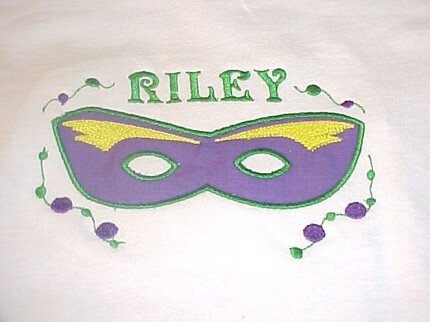 !� Perfect to wear for Mardi Gras.� Cute Mardi Gras�mask applique. 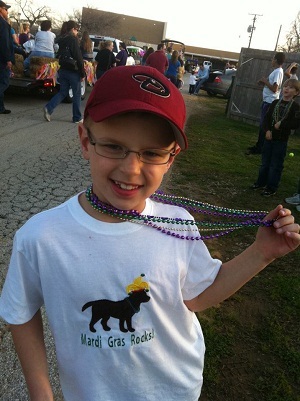 �I can do the applique in any fabric of your choice.� I can do this for a boy or a girl. I can add their name for free if you want!� You can choose any color shirt.......long sleeved or short sleeved..........and fitted or unisex shirt.